Consumers and health professionals are advised that Janssen, following consultation with the TGA, is undertaking a product defect correction for one batch of Jurnista (hydromorphone hydrochloride) prolonged-release blister packs (8 mg, 14 tablets) due to potential damage to the tablets. 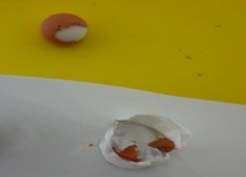 A misalignment issue with a packaging machine resulted in damage to the outer coating on some tablets in the affected batch. This damage may affect the release rate of the medicine. 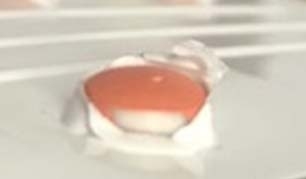 An affected blister pack with damaged tablets. The batch number and expiry date are printed on the end tab of the box. Jurnista is prescribed for patients with chronic, constant pain that is moderate to severe and expected to be long-lasting. It can only be prescribed by a doctor. The affected batch number is IALS400 with an expiry date of 12-2019. Only a small proportion of this batch is potentially affected by this issue. The physical damage to affected tablets is obvious and it is likely that a patient or caregiver would notice and seek advice before the product is consumed. There have been no Australian adverse events reported to the TGA due to this issue. There is no quality issue with tablets that have not been physically damaged and, due to the need to maintain continuous analgesia in patients who are taking Jurnista, this issue is being addressed through a consumer level product defect correction, rather than a recall. Active ingredient degradation due to exposure to oxygen, potentially resulting in under-dosing. Check your Jurnista packaging to see if you have any tablets from batch number IALS400. If so, check the blister packs and tablets for any signs of damage (do not remove tablets from the packaging unless they are going to be consumed straight away). If the blister pack or tablets are damaged do not consume them. Return the entire Jurnista box to your dispensing pharmacy to discuss replacement options. In the likely event that the blister pack and tablets are not damaged, you should continue to take the medication as prescribed by your doctor. If you have any questions or concerns about this issue, talk to your doctor or pharmacist. You may also contact Janssen's Medical Information Department on 1800 226 334. Janssen has written to pharmacists providing more details about this issue and the product defect correction process. Janssen has advised pharmacists who have stock on hand from batch IALS400 to quarantine the product, then open the box and check for any damage to the blister pack (inspect the tablets through the blister, but do not remove them). If there is damage, Janssen advises pharmacists to contact their wholesaler to arrange for the return of the product. If there is no damage pharmacists are advised to re-tape the end tab (initialling the reseal by hand), after which the product may be dispensed as usual, in conjunction with suitable patient counselling. 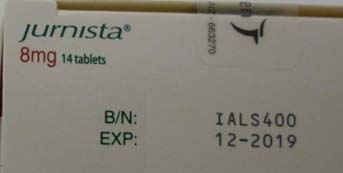 Janssen has asked pharmacists who have dispensed Jurnista 8 mg from batch number IALS400, or those who are unsure of the batch number dispensed, to contact all customers who have been dispensed Jurnista 8 mg 14 tablet pack, since 5 December 2018 and supply them with information contained in the letter to pharmacists. If you have any questions or concerns about this issue, contact Janssen's Medical Information Department on 1800 226 334. Please note that no other Jurnista presentation is affected by this issue. If you have prescribed Jurnista (hydromorphone hydrochloride) prolonged-release blister packs (8 mg, 14 tablets), please be alert to this issue. Please advise patients and carers to check their tablets as outlined above. If you work at a health facility and have transferred any of the potentially affected stock to another facility, inform that facility of this action.